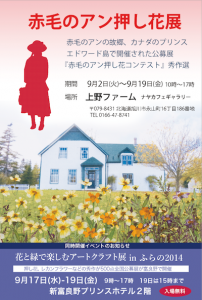 In June this year, a work exhibition of "Anne of Green Gables" held at Slatford Town Hall, Prince Edward Island, Canada, will be held from September 2 (Tue) to September 19 (Fri) at Ueno Farm NAYAcafé Gallery It is under exhibition. 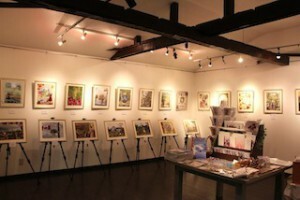 The works exhibited at Ueno Farm this time are pressed flower art of new sensation, skillfully combining beautiful pressed flowers and pictures, mainly on contest winning works. Professor Nobuo Sugino, sponsored by Prof. Sugino, is a press artist representing Japan and he is active in various media such as magazines and television in Japan and overseas. Currently I am teaching a lot of students about new pressed flower technique. 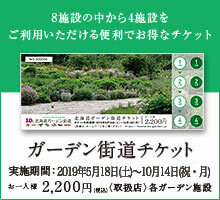 This time "Anne Fukaoka Exhibition of Red Gables" will be held for the first time in Ueno Farm in Japan! We also sell pressed flower goods so if you are coming near you, please have a look! !